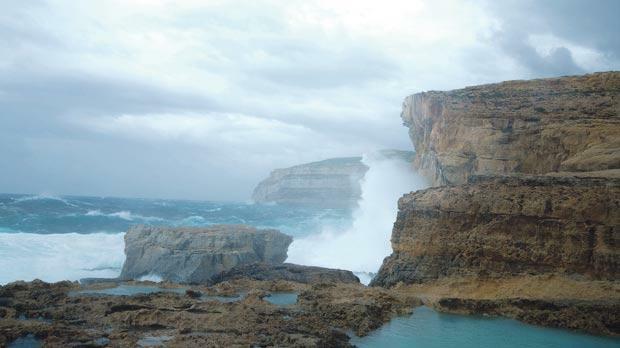 Geologists have yet to determine whether the Azure Window’s pillar remains intact in the sea or it broke into pieces when it fell. However, Peter Gatt believes it more likely that the pillar probably shattered to pieces, rather than remaining intact. Speaking to Times of Malta two days after the iconic landmark collapsed into the sea, disappearing completely, Dr Gatt said it was quite unlikely that the rock had remained whole, given the strength of the waves that day. “It was the pillar's base that gave way and not the top part of the arch. As a result, it could not have remained whole. While we still have to find out what lies underwater, it's most likely large chunks that remain,” Dr Gatt said. The geologist was reacting to rumours that have been making the rounds since the window collapsed on Wednesday morning. While in the past it was envisaged that it would be the arch that would give way, this was not the case, and it was the pillar's base that collapsed. As a result, the whole rock formation disappeared into the sea. A three-month geological study published in 2013 which was conducted by Dr Gatt concluded that while erosion was inevitable, the structure was not in imminent danger of collapsing. When asked about the report's conclusion and how the window had crashed down just four years later, the geologist insisted it was the arch that was studied and not the pillar. "The report was correct in saying that the arch was stable and would remain so for some 10 to 15 years. It was the arch that was studied and not the pillar, which was the part that ultimately gave way," Dr Gatt said. The Azure Window was one of Malta's major highlights. The Azure Window was created after two limestone sea caves collapsed. It was one of the Maltese islands’ most distinctive sites, attracting thousands of tourists and locals every year. In the wake of the overwhelming reactions from both locals and foreigners, the government announced on Thursday it was launching an “international initiative” for anyone with ideas for commemorating the landmark. The temporary conservation order banning people from crossing the arch has been shifted underwater and forbids anyone from accessing the area. 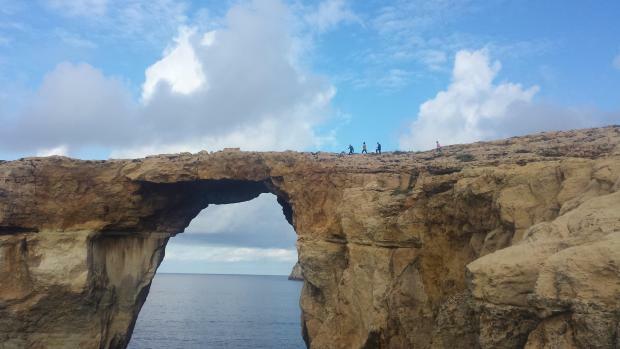 The Church yesterday said the collapse of the Azure Window should inspire Malta to reflect on its national heritage. It was sad that for several years the country failed to be shocked by the damage caused to the natural and built environment because of unsustainable policies, projects or plans, it said.